← Wouldn’t you know it . . . I went up to the Holy Grail of Donner Pass today and hiked around. The weather is turning and soon I won’t be able to do much hiking. Besides it is so dang cold there in the winter. 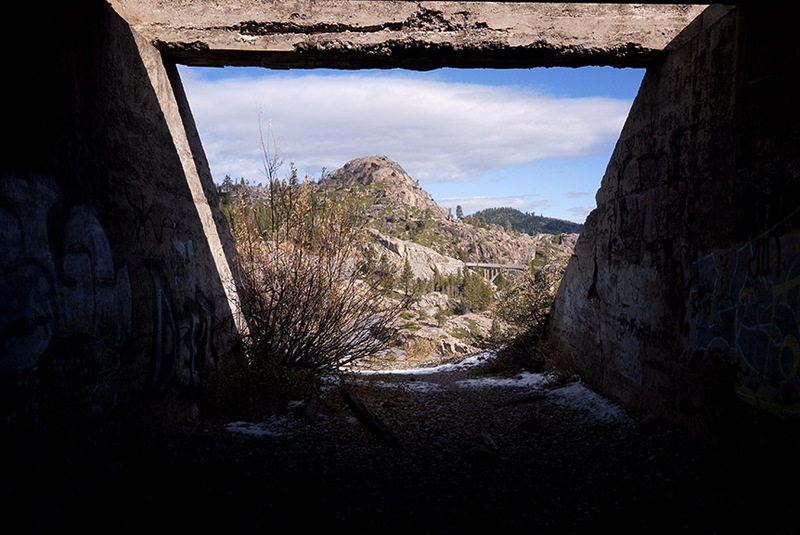 There is so very much to see at Donner pass that it will be a while before I can get it all down in the blog. Consider this to be Episode 1. 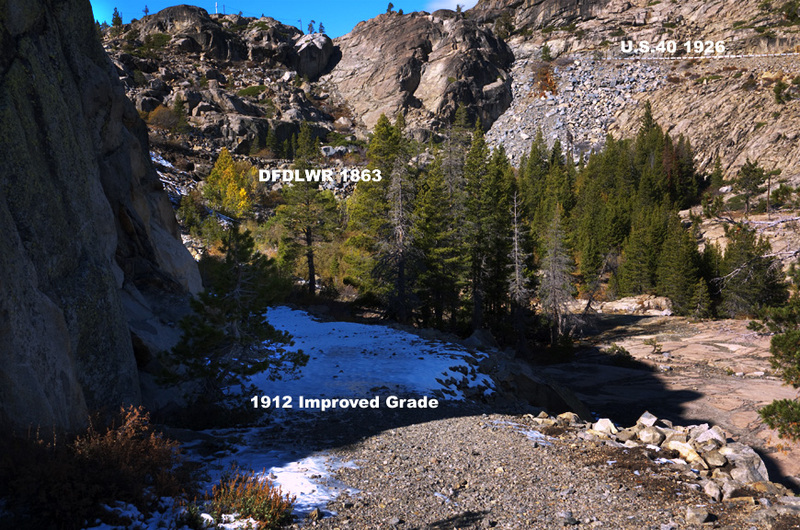 Hiking up to the snowsheds and the Chinese Wall, I looked back to see the Hwy 40 bridge built in 1926 (upper photo). The new alignment here wiped out large portions of the original Lincoln Highway. In the far distance you can see the ribbons of Interstate 80 which crosses Donner Summit about one mile north of Donner Pass and a thousand feet higher. Lincoln Highway under the S.P.R.R. The S.P.R.R. 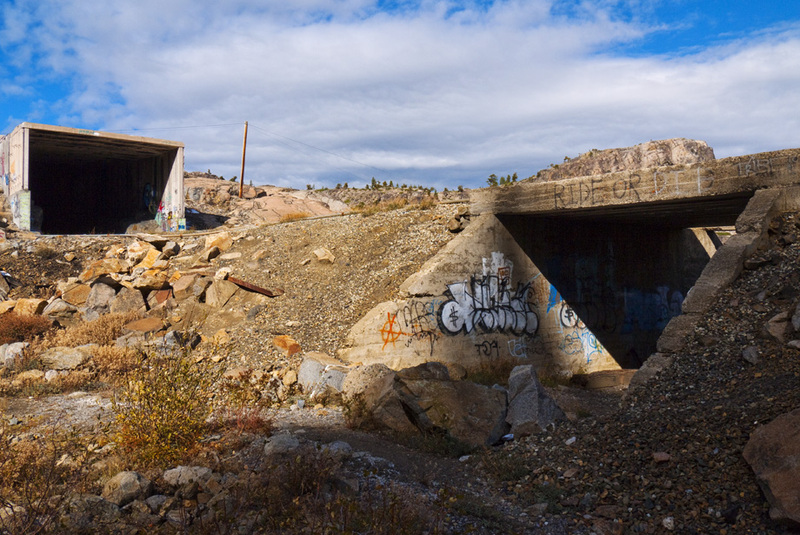 underpass was built in 1912 to save travelers the danger of a grade crossing of the tracks. At the time it was built, there were still wooden snowsheds obscuring the view of approaching trains. The grade crossing that the underpass replaced was approximately 100 yards west of this location , at the eastern portal of tunnel #6. 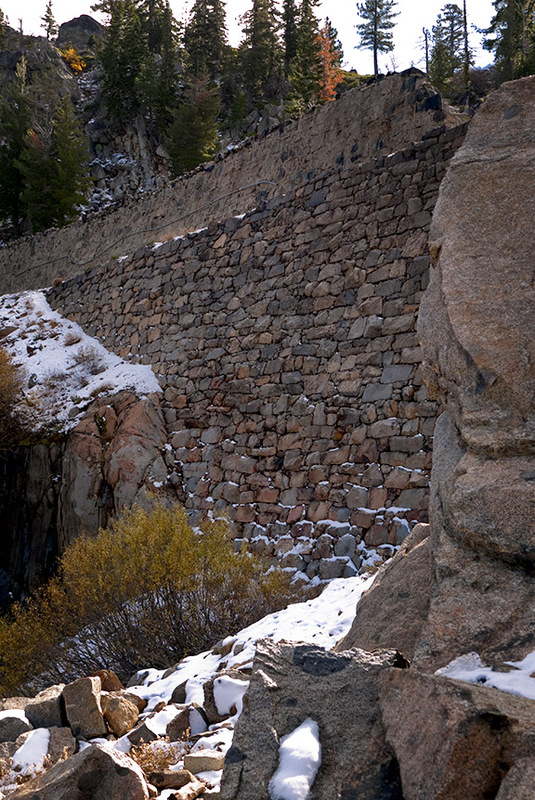 The view above shows the current state of graffiti and the boulders placed by the Forest Service to block vehicles from accessing the old road. 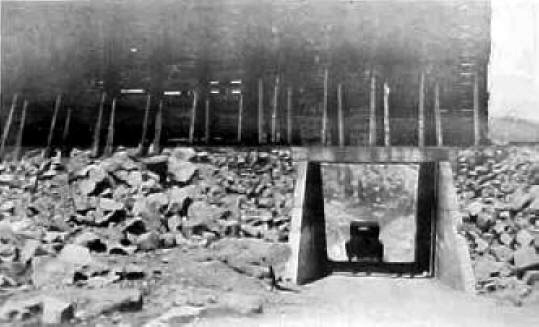 The view above shows the underpass shortly after it opened with the wooden snowsheds on the railroad roadbed. From just north of the underpass on the 1912 alignment, you can see all three of the roads in the pass. 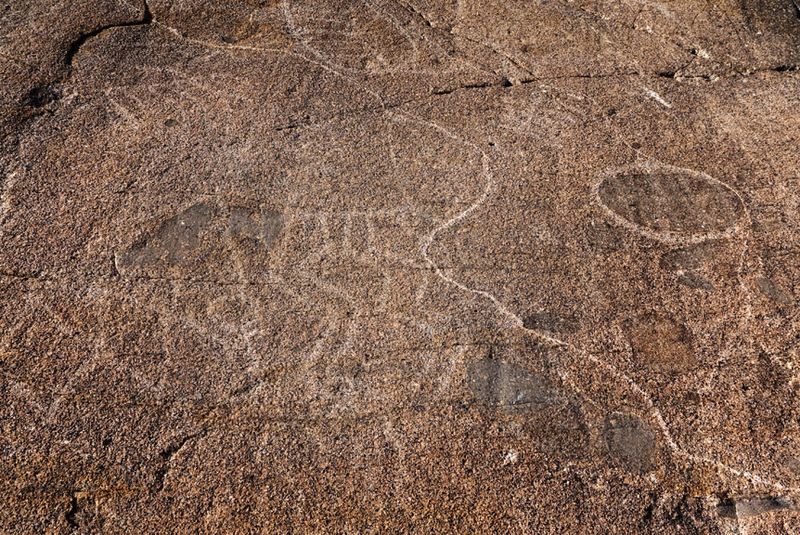 On the current hiking path to the Chinese Wall there are many petrographs on the smooth rocks. Many have faded away and only moderate camera adjustments make them visible.